Trusted by millions of Muslims who rely upon Scan Halal everyday. The most informative source on halal food products. 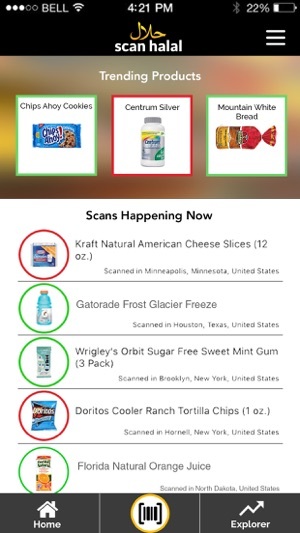 Hi, this app sometimes doesn’t let me scan the items I want to scan. Instead it just tells me to scan orange juice so that the app can store its data. And I understand that but other times it really becomes annoying especially if you are unable to help. Instead that image just keeps on popping to the point it’s useless, you can’t use the app. You guys to to make it optional whether that individual will scan the required data or not. Don’t force it, cause then we can’t use it unless that particular image is scanned. Example if I’m in my house and I want to scan an item to know if it’s halal or not and that image pops up telling to scan an orange juice box which I don’t know what particular orange juice it requires me to scan, I can’t use the app. It won’t let me!! And I find that REALLY ANNOYING! Because it happened to me not once or twice but more than that! So please FIX THAT!!! The app has helped my family and I tremendously when we are doing our weekly grocery shopping or simply want to check if we can consume an item. Despite the minor hiccups, I have continued to use the app for 2+ years. However, there are two key issues that I want to bring to app developer’s attention. 1) app showing the “loading” sign after an item has been scanned. This problem arose after iOS 11 update. 2) wrong product associated with the barcode. 1) After the iOS 11 update, the app has been lagging. When I scanned an item, the “loading” sign came (as it usually does) but remained there for solid five minutes before I closed the app. I tried this with several different products (all well known) and the “loading” sign was present in all of them. Though my app was up to date, I reinstalled the app to see if that’d fix the issue but it didn’t. 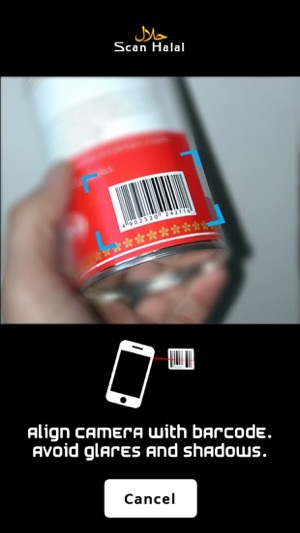 2) I have personally noticed several products falsely associated with the barcode. For example, when I scanned mango flavored Gatorade, tropical orange juice came up. There have been more instances but this is the most recent incident. 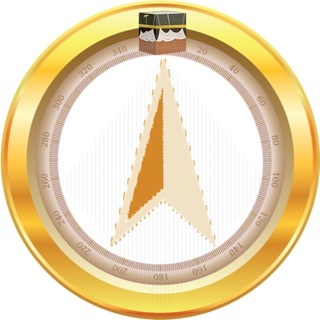 I love the idea and concept of this app. 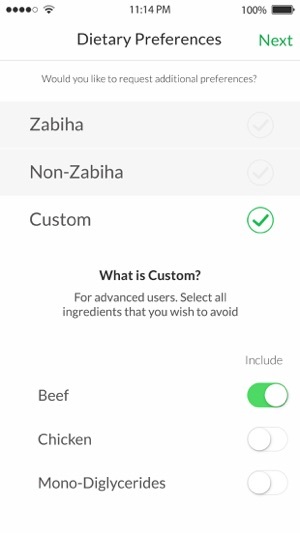 As a strictly halal eater , this app is gold! But recently I came to find out that not everything is 100% correct . 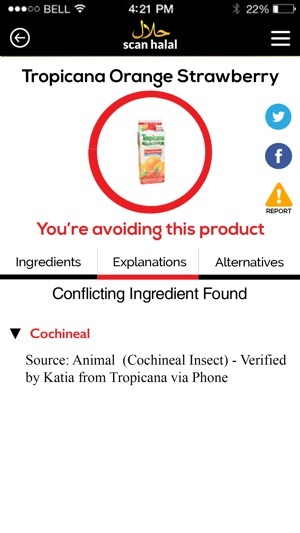 Almost all the chip companies that this app says there are porcine enzymes in them, is not true . I went on the actual website where they list ALL ingredients and have sections where they Individually list all chips that are kosher or specific diet friendly. 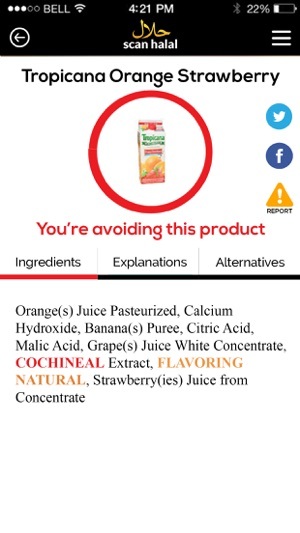 All of the one that the app suggests to stay away from based on the ingredients, are indeed safe to eat. I can only imagine what else is listed wrong. Again , I love the idea , love the app but they should really do their research before suggesting to people it is not safe to eat , when it is.